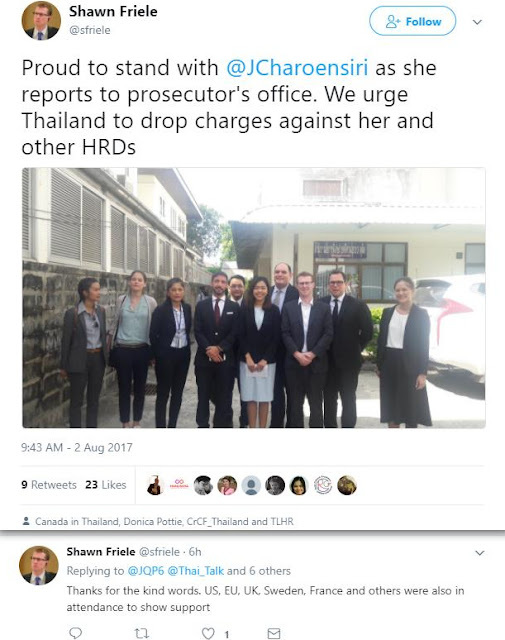 The New Atlas: US Regime Change: Who are Thailand's "Activists"
US Regime Change: Who are Thailand's "Activists"
Foreign agents hiding behind rights advocacy are not "activists." AFP recently published an article regarding Thailand's ongoing political conflict, portraying a so-called "student activist" the recent victim of what it calls, "increased ferocity under Thailand's military rulers." A prominent student leader on Tuesday pleaded guilty to defaming Thailand's royal family by sharing a news story about the kingdom's new monarch on Facebook, his lawyer said. Jatupat "Pai Dao Din" Boonpatararaksa, 25, is the latest anti-junta activist to be hit with the country's draconian lese majeste law which bans any criticism of the monarchy. However, the article categorically fails to mention that Jatupat Boonpatararaksa is a member of a foreign-backed opposition front aimed at carrying out destructive regime change just as US-European interests have done everywhere from South America and Eastern Europe, to North Africa and the Middle East. AFP also fails to report that Boonpatararaksa is part of an opposition that has regularly resorted to intimidation, violence, murder and terrorism, with members of the movement most recently carrying out a string of bombings in Bangkok, including one that targeted a hospital. Boonpatararaksa in particular receives direct aid and assistance from the US, Canadian and various European embassies in Thailand. 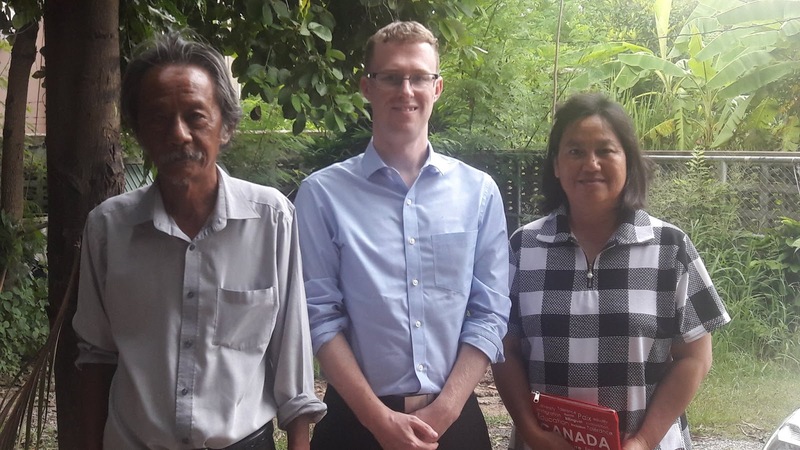 His family members, since his imprisonment, have received visits from embassy staff, including Second Secretary at the Canadian Embassy in Bangkok, Shawn Friele. Friele has also lent direct support to other members of this foreign-backed opposition including the US State Department-funded Thai Lawyers for Human Rights. His support included a thank you published on social media implicating foreign support provided by at least five other Western governments. 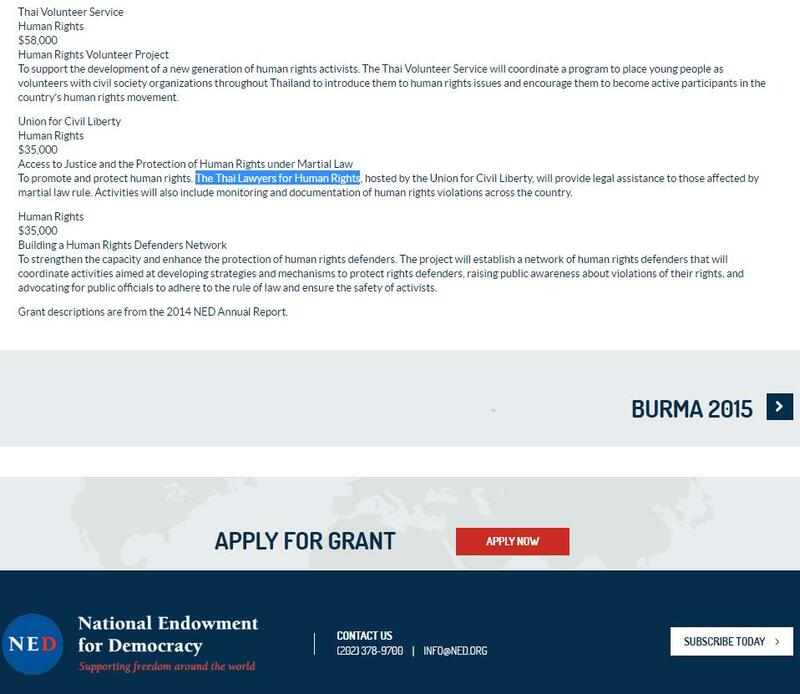 Thai Lawyers for Human Rights is just one of many foreign-funded fronts posing as "nongovernmental organisations" created and funded by the US State Department to execute US foreign policy objectives within the borders of a sovereign foreign nation. 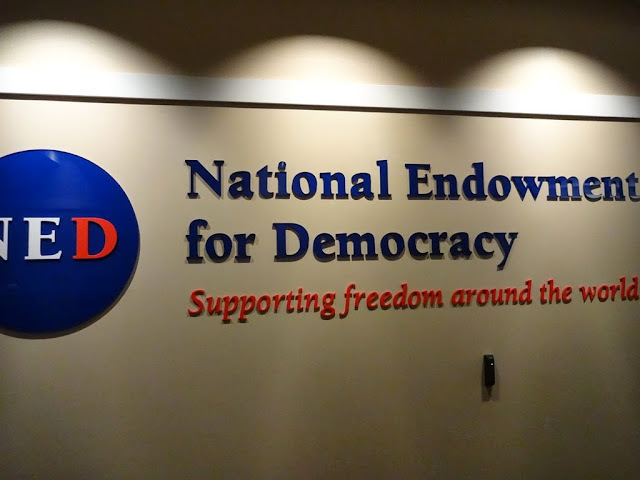 Upon closer examination of Thailand's "draconian lese majeste law," it is clear that only members of this foreign-backed opposition movement are being targeted. Their convictions under the law are by far more lenient than more appropriate convictions for sedition, treason and providing material support for terrorism, convictions or even accusations of which in the West have resulted in extrajudicial executions, indefinite detention without trial and institutionalised torture. AFP and other US and European media outlets intentionally omit these facts from their reports, creating the same sort of resentment among public perception toward Thailand and its institutions as it has fostered around the globe ahead of other regime change attempts. While AFP and others attempt to create the perception that people like Boonpatararaksa are independent activists fighting for humanitarian causes, they are in fact foreign agents facilitating destabilisation on behalf of special interests on Wall Street and in Washington and within the capitals of their European allies. While AFP attempts to defend Boonpatararaksa as a mere activist, it should be noted that simply allegations of similar behaviour levelled against Russia regarding America's internal political processes have prompted sanctions, diplomatic expulsions, arrests and even threats of war. Thailand's jailing of one foreign-backed agitator falls far short of America's reaction to alleged Russian interference despite the fact that US interference in Thailand is not only obvious, it is documented, even flaunted on the US National Endowment for Democracy's (NED) own website. America's reaction to alleged Russian interference indicates that Washington views foreign interference as intolerable, yet it has mobilised its media resources to denounce nations like Thailand who are confronting and convicting agents of foreign interests engaged in precisely what is clear cut foreign interference. The only real question now is how sustainable American and European hypocrisy is and if their double standards will enable or hinder attempts at destabilising and overthrowing Thailand's current political order. As to why the US seeks regime change in Thailand and elsewhere in Southeast Asia, long-stated US foreign policy identifies a rising China as a direct threat to what American policymakers call US "primacy" over Asia. Overthrowing independent political orders all across Southeast Asia and replacing them with complicit client states allows Washington to create a united front with which to encircle and contain Chinese influence, both in the region and globally.